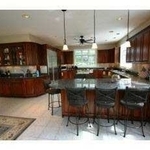 Resort like home in a magnificent setting features State of the art features throughout. Relax and enjoy the large open space with picturesque windows through the home and luxury amenities starting with the gourmet chef's dream kitchen with massive granite counters and breakfast bar, gorgeous corner fireplace, high end stainless Viking, Subzero, Bosch, Dacor & Jenn-aire appliances, double dishwasher, double oven, bread warmer, large six burner stove top with grilling and griddle attachments, garbage disposal/conpactor, oversize refridgerator with water and ice maker and seperate win fridge with wet bar. Reverse Osmosis System for entire kitchen. In floor radiant heat throughout house including the four car garage, wood and tile flooring, luxurious first floor Master Suite, large private bath with jetted Jacuzzi Tub and seperate shower, walk in closet. Master Suite has private exit to the outdoor heated Hot Tub and pool. Laundry room on first lever along with a half bath, and large coat closet. Living room has cozy stove to warm in those beautiful snowy days, that leads to the second floor. Second floor has a large game room with mini fridge/bar area with an amazing view of the front property to include an apple orchard of 15 trees and two bedrooms. First large bedroom wih private jetted Jacuzzi Tub and seperate shower, walk in closet and gorgeous view overlooking the 12' pool. Second bedroom is a large room, private bath with Jetted Tub/shower combo and a double closet. 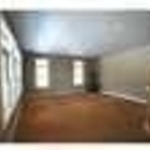 There is a third room that can be an office or small nursery/bedroom with closet, and half bath on the second floor. 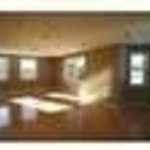 Third floor is the entire length of the home with complete carped living space with private bath and shower, double large closets and seperate storage. Four Car garage with workshop area that leads to the upstairs first floor or out to the amazing private tranquil wooded area. Off the first floor is a beautiful wrap around Trex Composit deck that leads to the outdoor hot tub and amazing heated 12' deep water in ground gunite pool that is low maintenance, new vinyl coated fencing with lifetime warrenty and pool house for storage, pump and supplies. High quality features such as steel support beams, 20,000 watt Kohler whole house generator & security system. 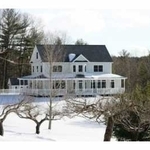 This home is privately situated in a beautiful serene setting and conveniently located only six miles to downtown Wolfeboro on Lake Winnipesaukee, Abanakee Ski Resort and easy access to North Conway & Seacoast less than an hour away. A must see!